Dublin has been selected as the host city for the 16th biennial European Parking Congress in 2013. The European Parking Association (EPA) selected Ireland as the host country for the event following a competitive bid process involving all EPA member associations. 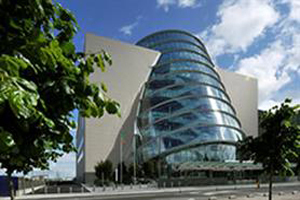 The Congress will be held at the Convention Centre Dublin from 12-14 September 2013. Tourism Ireland has estimated the average contribution of each conference delegate at €1,500 per visitor. The 2013 EPA Congress, whose theme will be ‘Towards 2020- Intelligent Transport Management’ will include modules on economic, technological, environmental, and regulatory factors affecting the European parking industry and the urban mobility sector in general. It will feature expert speakers, from industry and academic backgrounds, from across Europe and beyond, who will gather to share their views and opinions to an audience of delegates from the parking sectors of all of the major European member associations.